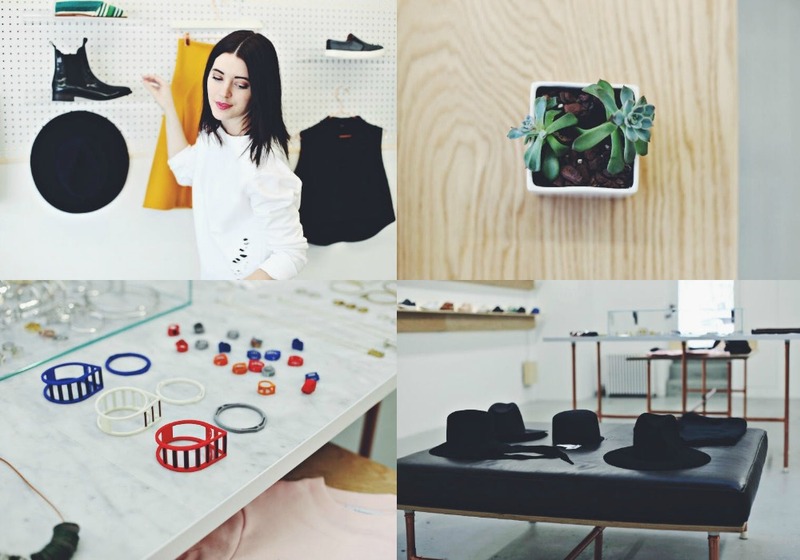 It's about time I do a blog post on ANTHOM, my good friend Ashley Turchin's store that she co-founded with her partners Marshall Johnson and Carla Cabrera. For all you lovers of minimal aesthetics and architectural leanings, then ANTHOM will suit your tastes to a T.
After working a few years at a law firm, Ashley realized that the law world wasn't for her and went on to start an online vintage store on Etsy. 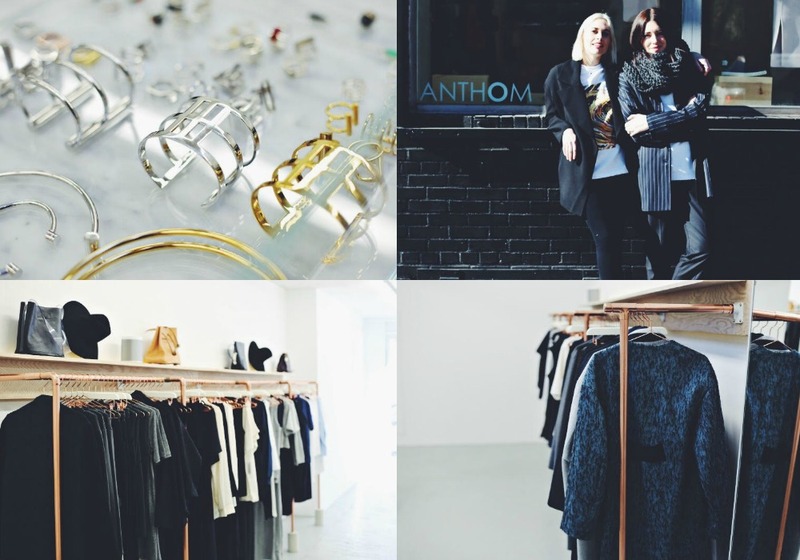 After two years, her love for contemporary, under-the-radar fashion blossomed, and ANTHOM was born. Ashley describes the ANTHOM girl as independent, sophisticated, smart, and creative. The store's design is warm and modern at the same time, with lots of natural wood and copper to perfectly complement and not overwhelm the pieces on display. It really is an experience for the senses walking in. I'm far from a minimal girl when it comes to my day-to-day personal style, but I appreciate and admire the artful inspirations behind ANTHOM's unique store concept. I go into their Chelsea store inspired to try something new. A little less boho and a little more playful with proportion and lines. Kate Greene, the cutie blonde in the photos featured here, has worked for ANTHOM since the opening of their Chelsea store last September. Getting to know these down-to-earth girls this past year has been one of the best things about living in NYC and working in this industry. this store seems awesome. You can tell that they have a good eye. Totally need to check this brand out. Thanks for sharing. Looks like such a gorgeous and inspiring store! I'm going to have to check it out if I ever visit NYC someday! looks like a really nice store if you want something unique . Amazing store and should swing buy for their sale, thanks Dylana for letting us know a gem . Store looks great! Love these blue shoes.